The caption on the photo says it all. SS Skinningrove a steel screw steamer (General Cargo) IMO 5230454 was built in 1895 by J L Thompson and Sons Ltd. at North Sands yard no 332, the vessel was completed on 2nd July 1895. Dimensions: Length 155 feet, Breadth 26 feet, Depth 11.7 feet, 516 tons. 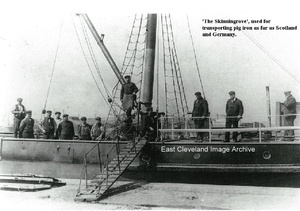 The first owners were Skinningrove Iron Co Ltd – T C Hutchinson Middlesbrough. The SS Skinningrove was broken up at Aviles by Desguaces y Salvamentos S. A. on 12/07/1971. Note: This ship ( off no 98787) built in 1895 was the second of two ships named SS Skinningrove, the original (off no 98773) was built by Wood, Skinner and Company Ltd in 1891 for Charles Henry Pile, London, (Shipping Investments, Cork). 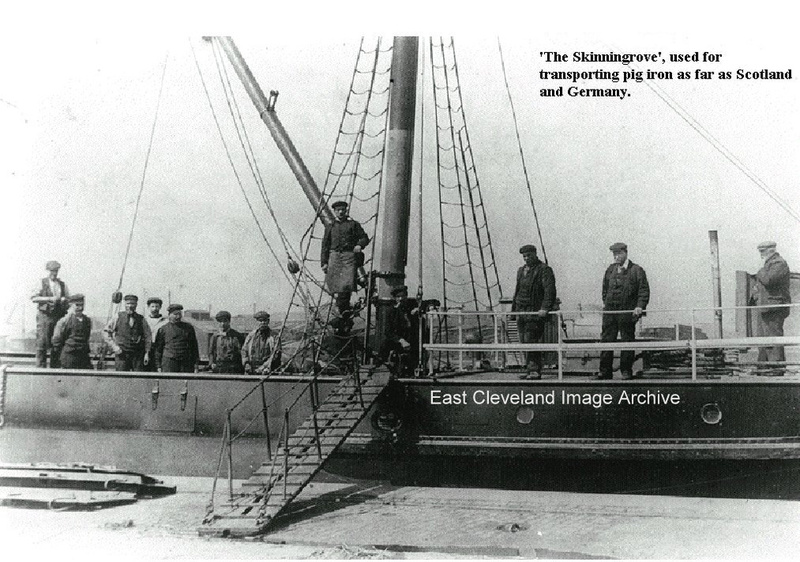 Skinningrove Iron Company Ltd used this ship for the export of pig iron from 1891 to 1895 when the ship was sold to P.Biraben & Fils, Bordeaux and renamed Pierre-Paul.